Finding a cheap cruise deal today is easy. There are so many options available to cruise hunters that the main problem is deciding on exactly which holiday to choose. 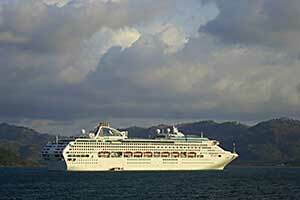 For first time cruisers, there are several guidelines you can use to choose a vacation which won’t damage your budget. The internet has opened up an exciting new world for shoppers in the last decade and sailing the high seas at affordable prices is now a no-brainer. 1. One of the best ways to get a cheap cruise deal is to shop and compare. Use the internet as your starting point and come up with a short list of preferred options. Then contact your local travel agent and see if they can beat the prices on offer. 2. Cruising during the off season will save you plenty. Vacations are usually well discounted at these times. 3. Avoid booking through the cruise lines. Check the major sites on the web or alternatively, check through a travel agent. 4. Look for what are known as repositioning cruises. Companies will move their ships from various locations during peak seasons and relocate them to destinations about to begin a peak season. Often, there are great discounts to be had by booking a holiday on these ships during the relocation phase. 5. For those who like to plan well ahead, then taking advantage of advance specials is recommended. Auction holidays have also become popular and you can bid for discount cruises on selected sites. Despite the strong presence of cheap cruise deal sites on the internet, the value of a good travel agent is still hard to beat. If you follow the rule of avoiding the booking process through the cruise lines and stick with a travel agent you’ll usually be rewarded with an excellent deal. Cruise lines generally like to concentrate on organizing and running the trip and a good deal of the tickets available are farmed out to various outlets including travel agents. So remember, never settle on an initial price and be vigilant when cheap cruise deal shopping.